One of the most critical travel lessons we have learned over the years is to plan our trip to have enough time upon arrival to a) get our car if we’re getting one (see our earlier post about how to skip the queue and get away quickly), and b) go grocery shopping at once, even before going to our accommodations. Especially when we are staying in a self-sufficient unit with a proper kitchen. 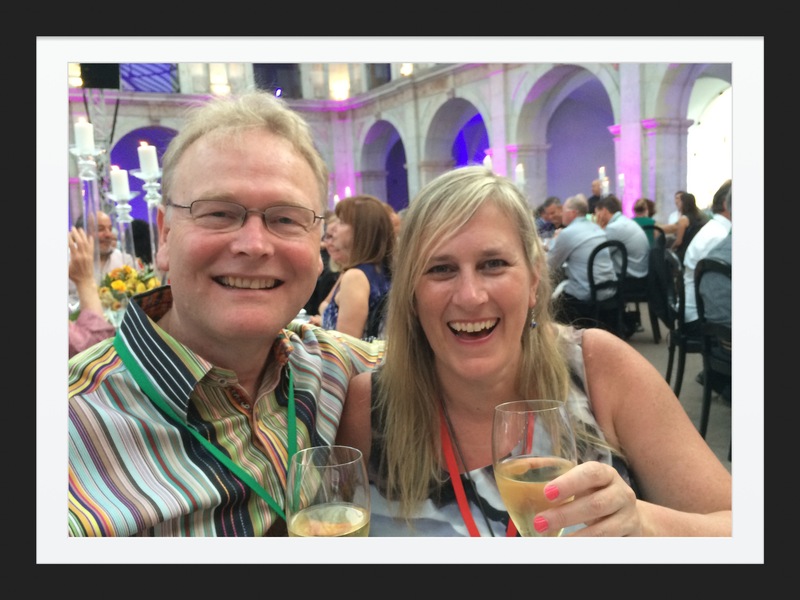 We nearly got ourselves into trouble in France before cementing this lesson into place. We’d arrived in town late on Saturday, about 9:30 pm, only to discover the only grocery store still open (most closed at 8 pm) closed at 10 pm, and they all would then be closed for both Sunday AND Monday since Monday was a stat holiday! Not only that, but the restaurants were all set to be closed, too. (Uh oh…). We barely got enough provisions to get us through to Tuesday before we were getting shushed out the door. Lesson learned. Now, I scope out the grocery stores before we leave, and choose the one or maybe two we will go to first carefully because we both have food issues, and that makes it all go much quicker than it would otherwise. We usually get local reusable grocery bags, preferably with the place name stamped all over it so they have souvenir value, and stock up royally, including a good starter kit on the wine and liquor. Then, we don’t berate ourselves too badly when we realize the next day that we still missed getting something fundamental, despite our best efforts to “think of everything,” and we make a secondary quick trip to a suitable local store. On this trip to Maui, we hit up Whole Foods near the airport as our first stop, and then checked out a local vegetarian market just down the street from us the next day. The food shopping part of it has turned into a major part of the adventure, in fact, because we usually find new treats we’ve never seen before. Makes it fun! Chatting with other folks in our current building, which we learned from them is actually a timeshare and they are regulars here, we discovered their first stop of choice is Costco, which actually seems like a good idea. At least for meat. We’ll look for Costco on our next trip. Whole Foods and other natural-type markets will always be number one for us because of our tricky food issues, but Costco would make a terrific second stop! I love not being restricted to restaurant food for every single meal the whole trip, and this strategy of stocking up even before we go to our unit is working really well for us now! 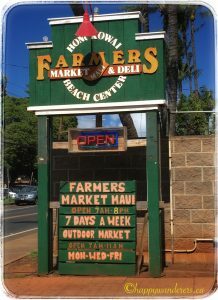 Photo: Our next-day grocery stop was the local (Kaanapali, Maui) vegetarian food store, Farmers Market Maui and Deli. Lots of wonderful finds in there! But definitely no bacon. Ha! That we found at Times Supermarket, just down the street. All is well.